If you’re anything like us, you take your coffee pretty seriously. The right beans, the right coffee grinder, the right cup—these things matter when you’re in love with liquid bliss. But one potential improvement to your brew you might not have considered is buying a coffee roaster and roasting your own coffee beans at home. Pre-roasted coffee can be delicious, but even the best coffee beans begin to lose the best part of their rich flavor and aroma just a few moments after roasting. If you’re ready for the ultimate home coffee experience, it’s time to heat things up with a coffee roaster of your very own and enjoy a fresher, tastier cup. Don’t Feel Like Reading? You can’t go wrong with the Nesco Roaster. It’s simple to use and roasts a ton of beans. Click here to check it out on Amazon. We took the guesswork out of it for you, and found a handful of coffee roasters that offer all the features you need. You’re welcome. If you’ve got a mob of coffee lovers clamoring for their morning cup o’ joe, roasting coffee at home is probably already part of your daily routine. Make things easier by roasting up to 5 oz. 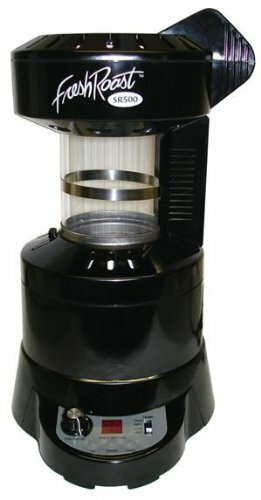 (142 g) of coffee beans in one batch with this countertop coffee roaster. That’s 36 cups of coffee, depending on how you measure coffee. Then again, it might be one really big cup if you’re facing one of those 8 o’clock Monday meetings at the office. 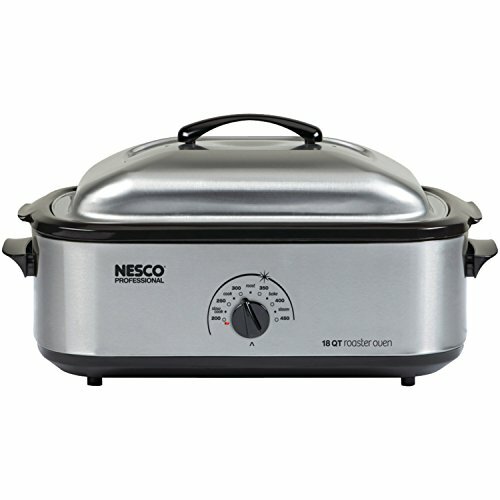 The Nesco CR-10-10-PR If you click this link and make a purchase, we earn a commission at no additional cost to you. also has advanced smoke and odor control to keep you from feeling like an extra on the set of Backdraft while you roast. 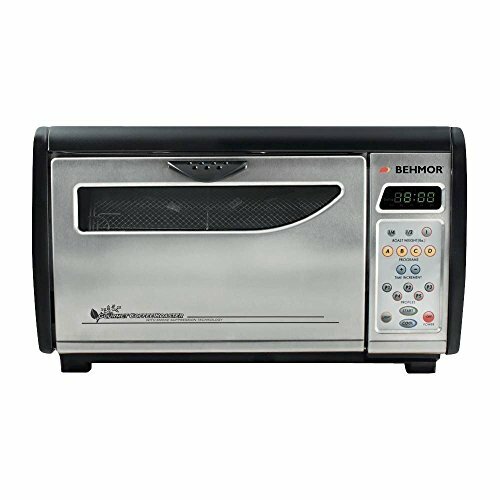 With an easy-load roasting chamber and simple, straightforward menu controls, this machine is a strong choice if you’re new to home coffee roasting or stepping up from a popcorn machine or manual model. You’ve probably admired the drum roaster, and the amazing smells wafting from it, at your favorite java joint. And while you certainly could build your own, you can keep things more tidy, and relatively tiny, by bringing home this tumbling wonder from Behmor. Roughly the size of a small microwave, this machine is a bit larger than less expensive coffee roasters. In exchange, however, it lets you roast 1 lb. (454 g) of coffee beans in a single batch. If you’re brewing, and drinking, a lot of coffee each week, this model will save you time and effort If you click this link and make a purchase, we earn a commission at no additional cost to you. . It has smoke suppression technology built right in, along with five different roast cycles and a light so you can watch your beans while they’re getting nice and brown. Are you short on space, but still want to roast coffee at home? Make a wee bit of room on your counter for the FreshRoast SR500. It has a small footprint but big features If you click this link and make a purchase, we earn a commission at no additional cost to you. , including a variable-speed fan and three different temperature settings. This model will roast 4 oz. (90 g) of coffee in a single batch. That’s 21 cups of coffee, give or take, so you can still invite a few friends over without worrying about having to store a bunch of extra coffee. Add in simple controls and easy-to-clean components, and you’ve got a coffee roaster that’s a perfect fit for smaller coffee creation stations. Like exercise, a good cup of coffee can leave you feeling energized and refreshed. So why not combine coffee roasting with a modest workout for the best of both worlds? The Nuvo Eco Ceramic Handy Coffee Bean Roaster needs two things to produce tasty roasted beans: fire, and your willingness to bust a move while you roast. This manual coffee roaster holds up to 2.5 oz. (70 g) of beans per batch over an open flame. You won’t be roasting for a crowd, but the uniquely textured “waffle” interior and cha-cha roasting moves means you’ll have a blast while you’re prepping your morning brew. If you’re into functional art If you click this link and make a purchase, we earn a commission at no additional cost to you. and are brewing for one or two on the daily, you might just fall in love with this one. We know what you’re thinking. “You want me to roast my coffee where?” Stay strong, friend. 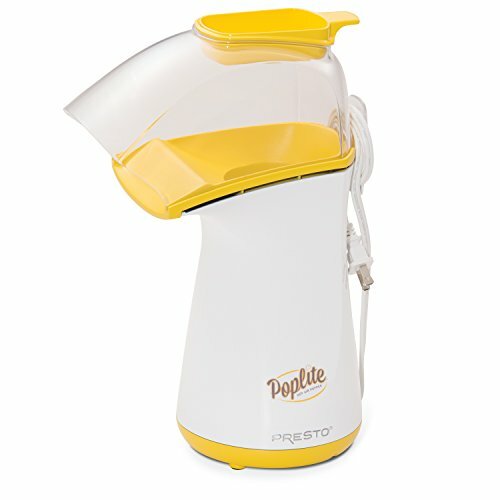 While they might be designed to generate clouds of fluffy white popcorn, air poppers like the Presto PopLite Hot Air Popper are just as adept If you click this link and make a purchase, we earn a commission at no additional cost to you. at toasting your coffee beans. In fact, the “popper method” has devoted fans wherever popcorn and coffee collide. This method of roasting coffee does require more attention to detail and safety than others. You’ll want to roast outside, for example, and only roast 4 oz. (90 g) of beans in a single batch. But this model’s built-in vents, relative affordability compared to professional coffee roasters, and automated chaff removal (it gets sent to the bowl) make it an appealing choice if you’re on a budget or new to roasting. Good coffee is art. And if you want to feel like an artisan, few things beat gently turning this retro-style glass roaster over an open alcohol flame as you watch your coffee beans roast. Quietly humming Mumford & Sons songs while you’re at it is optional, but recommended. Holding just 1.8 oz. 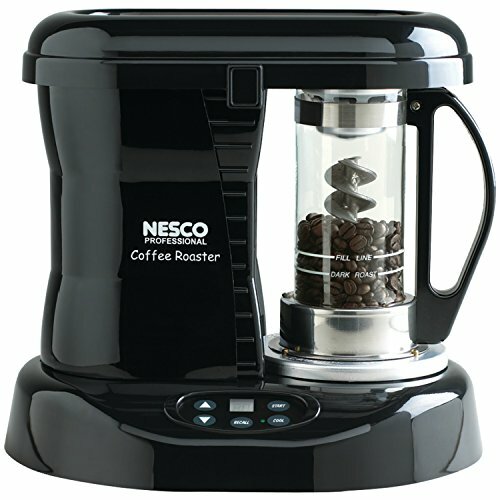 (50 g) of beans per batch, this Japanese coffee roaster If you click this link and make a purchase, we earn a commission at no additional cost to you. emphasizes patience, artistry, and small-batch craftsmanship. Its unique design makes it something of a conversation piece as well. If you want every cup you brew to be not just a beverage but an experience, this one’s for you. 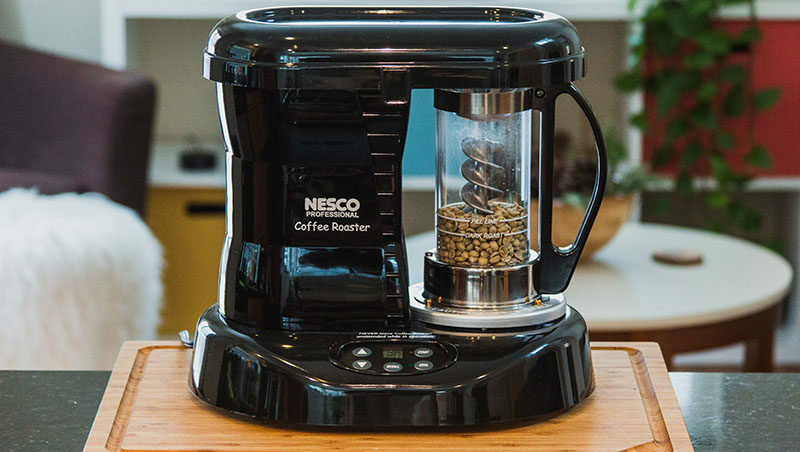 Harness the power of professional-quality coffee roasters, without the professional price tag, with this behemoth from Nesco. It’s rocking 1425 watts of power and holds up to 18 quarts (17 L), so it could crisp up your Thanksgiving turkey as easily as it roasts your coffee beans. It can handle serious heat—up to 450°F (232°C)—so you can tinker with your roasting recipes in endless ways as you pursue the perfect cup of coffee. This model has a large footprint and needs plenty of room on the counter. With its moderate price tag and powerful, flexible roasting options, it’s a good choice If you click this link and make a purchase, we earn a commission at no additional cost to you. if you’re roasting a lot of coffee frequently and want some leeway in the quantity and qualities of your roasted beans. Roast coffee like the cowboys did. Or at least like your grandparents did, back in the ’50s. 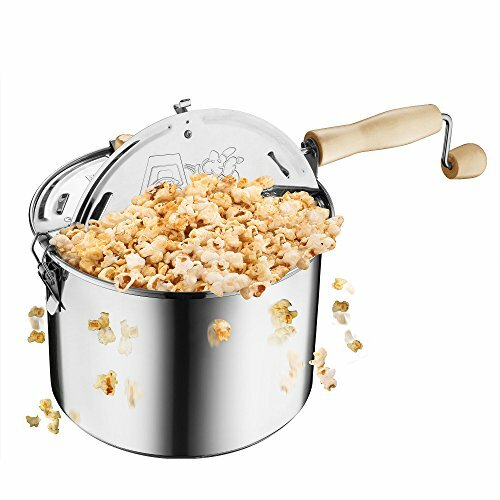 If you prefer the hands-on approach and want a high-capacity, versatile tool, roasting your coffee beans in a stainless steel beauty like the Great Northern Popcorn Stainless Stove Top Popper is a no-brainer. 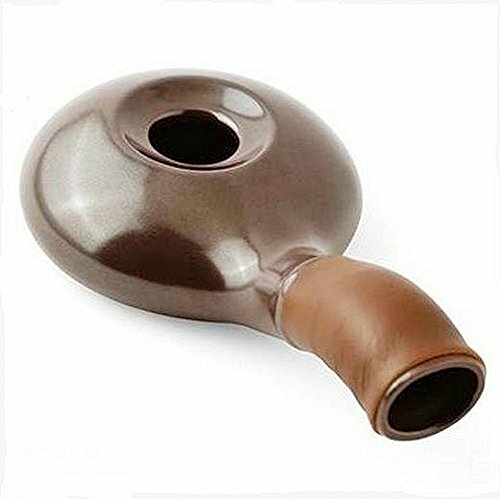 With a built-in stirring system, this handy little gadget If you click this link and make a purchase, we earn a commission at no additional cost to you. makes it easy to give your beans an even roast. It’s easy to clean and store too, so you don’t have to dedicate valuable counter space when it’s not in use. The best cup of coffee is one that’s made to your exacting standards. And whether you’re cuckoo for cold brew coffee or kickin’ it old school with a stovetop percolator, coffee roasters are essential to making fresh and delicious coffee at home. Bid pre-roasted beans a not-so-fond farewell. Roasting coffee at home adds depth, flavor, and aroma to your coffee making. It’s another way to connect with the process and tweak everyone’s favorite bean into a beverage that’s uniquely yours. So you've figured out how to grind and brew on your own, but have you considered roasting your own beans to get the perfect blend? 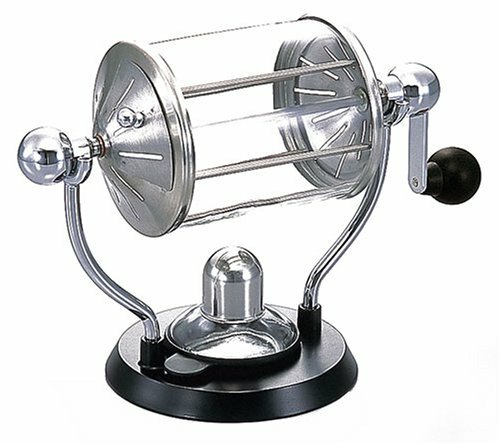 Read this article on the best popcorn popper for roasting coffee to find out how to do it.